We’d love your help. 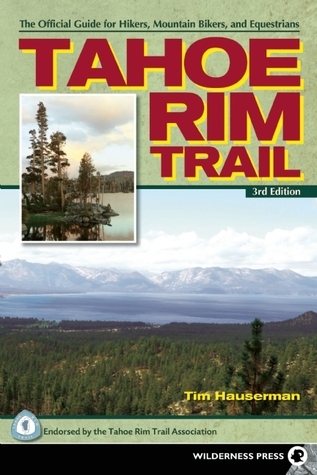 Let us know what’s wrong with this preview of Tahoe Rim Trail by Tim Hauserman. The 165-mile Tahoe Rim Trail is considered one of the world's premier trails. Accessible by hikers, equestrians, skiers and mountain bikers (for the non-wilderness portions), it winds completely around spectacular Lake Tahoe, the highest and largest alpine lake in North America. The trail crosses through six counties, three national forests, and two states and was complete The 165-mile Tahoe Rim Trail is considered one of the world's premier trails. Accessible by hikers, equestrians, skiers and mountain bikers (for the non-wilderness portions), it winds completely around spectacular Lake Tahoe, the highest and largest alpine lake in North America. The trail crosses through six counties, three national forests, and two states and was completed in 2001 largely by volunteer labor. The best-selling Tahoe Rim Trail has been revised to reflect the latest conditions and routing of the trail and includes information for over 20 miles of new trail. Updated topographic maps depict the entire route, along with the easy (and fun) to read trail directions, the book includes fascinating information on the plants and animals you'll see along the trail, plus essential advice for planning a hike on the TRT, whether it's a day's outing or a 2-week circuit of the entire lake. To ask other readers questions about Tahoe Rim Trail, please sign up.